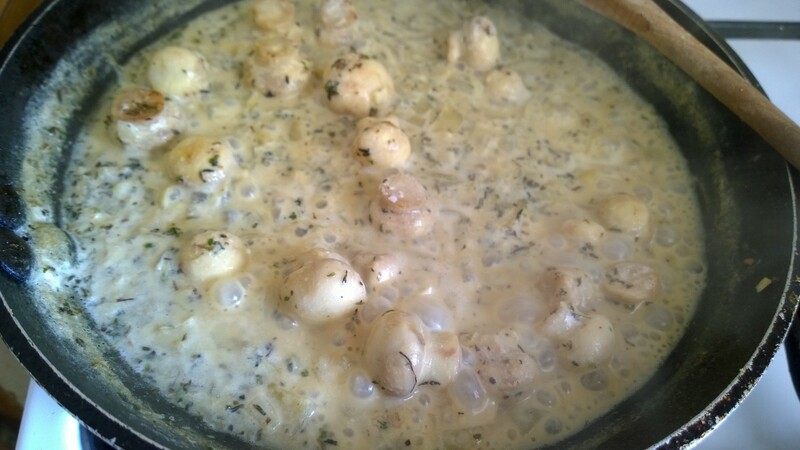 A friend asked me the other day how she could make creamy mushrooms that were healthy and weren’t made with dairy. 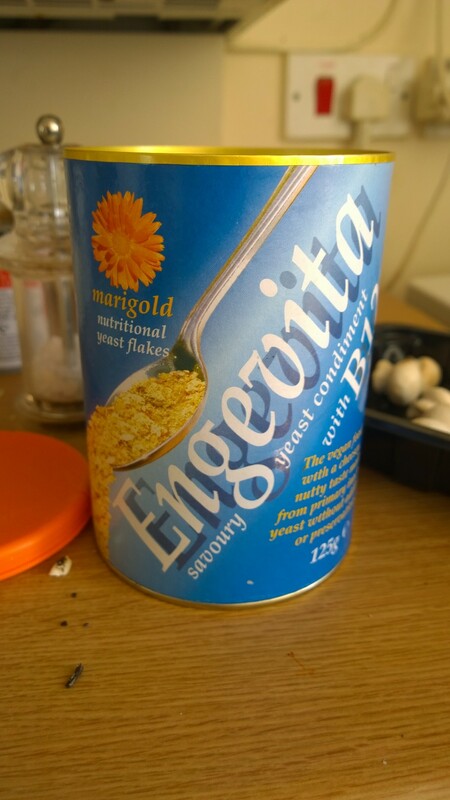 I thought about the ingredients that I happened to have at home at the time – almond milk and nutritional yeast? So I bought some mushrooms, and went straight home to give it a go. And it worked! They were delicious. 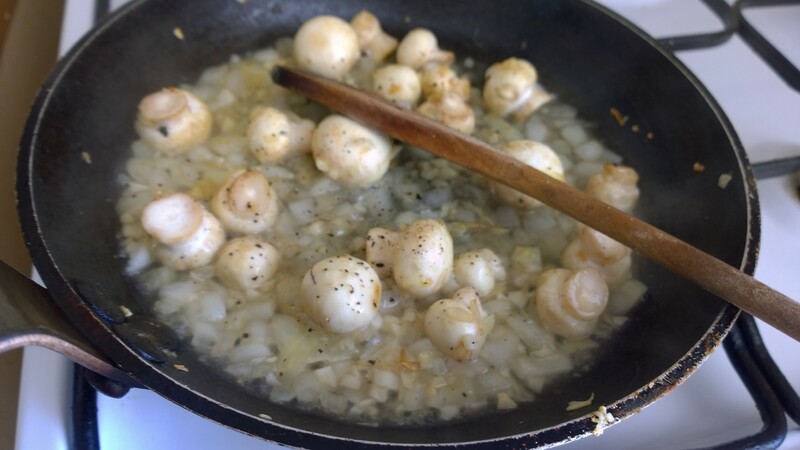 I did add a slosh of white wine to enhance the flavour, but they were creamy, nutty, garlicky, and actually good for you! So I had to share the recipe. 1. In a non stick pan, heat about 1 tbsp of olive oil. 2. 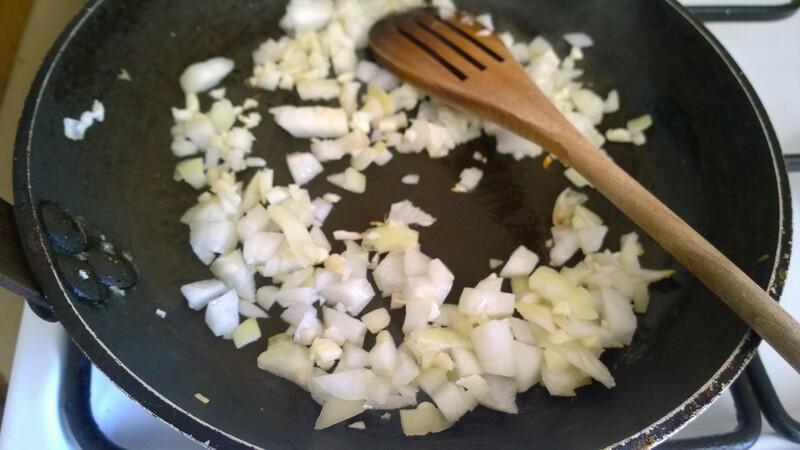 When hot, add the onions, and saute for 3-4 mins on a low heat until softened. 3. 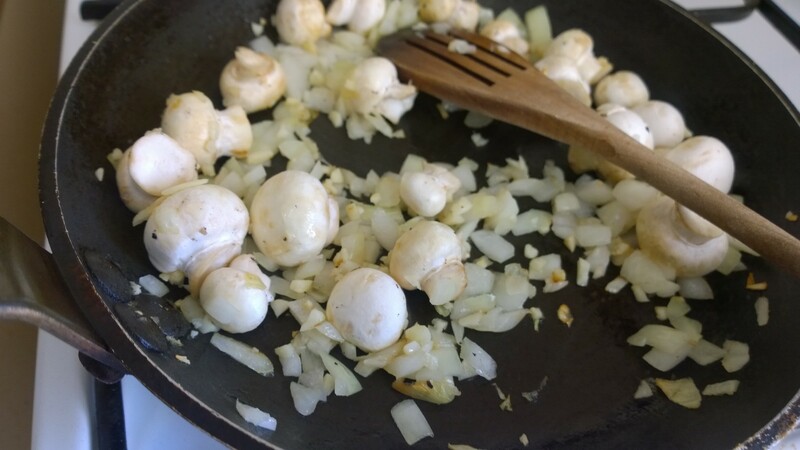 Add the garlic, salt, pepper, and the mushrooms then cook for a further 3-4 mins until the mushrooms begin to brown. 4. Next, add the white wine and let it simmer until the wine has reduced. 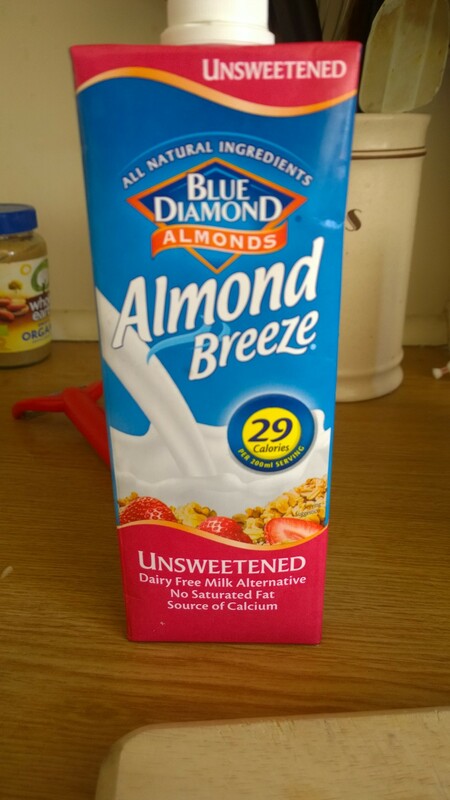 This cooks the alcohol off and will stop the almond milk from curdling. 5. 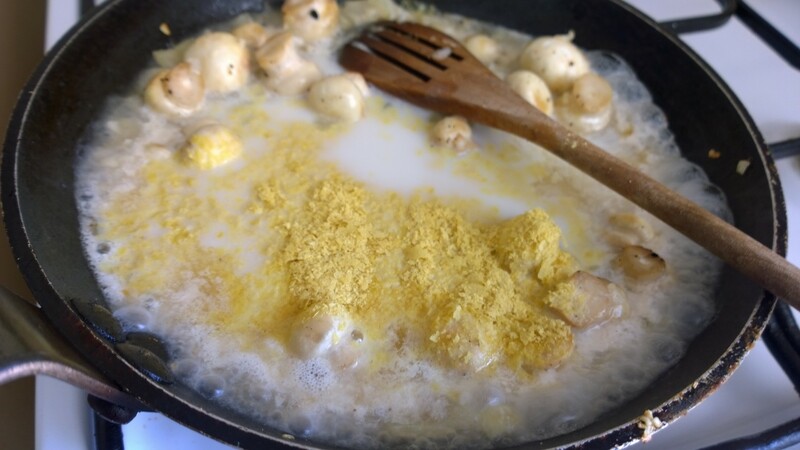 Once the wine has reduced, add the almond milk, mixed herbs and the nutritional yeast, and stir to combine. 6. 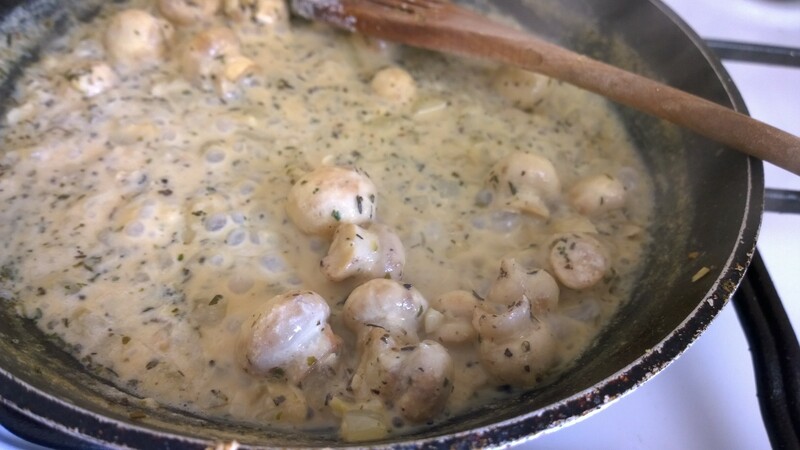 You want to reduce the liquid down to your desired sauce amount, so allow it to simmer, stirring occasionally until you have reached the consistency you would like. 7. 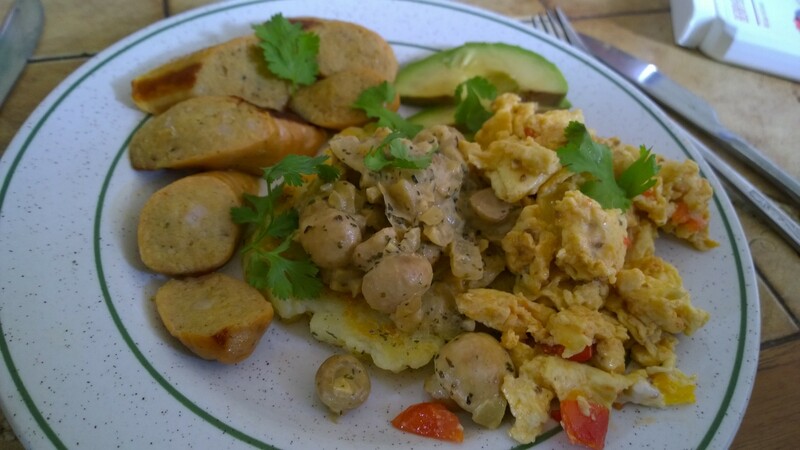 Serve immediately, on toast, or part of a delicious breakfast like the one I made below.